Resume screening: how to pass? Imagine a recruiter has just finished reading over a hundred resumes. Only a small number of them has made the shortlist for their client. Your resume is next in line. Will your resume be passed by or found worthy? The answer to this question lies in how a recruiter decides on what makes a good candidate for a role – and what you can do to increase the chance of your resume being shortlisted. What’s the first thing your resume should say? Recruiters ideally like to see a quick snapshot of who you are, your background and what you can bring to their client. You should start your resume with something called a profile statement. Specifically, your personal statement (or profile statement) is the first thing the recruiter will read. It should show what you have done in your career to date, how you’re different and why they should take an interest in you. You must tailor your personal statement to the position being advertised. Use keywords from the job advertisement! Don’t go over two to three sentences (or ideally 3 – 4 short and sharp bullet points) and focus on your experience and achievements. The right personal statement should convince the reader to continue reading the rest of your resume. It must impress them – so use action words and quantify the content i.e. x number of years’ experience, technologies you are proficient in, how many projects you’ve delivered and the specific experience you have that proves you can do the job they are advertising. Instead of saying ‘Profile Statement’ at the top of this section, keyword optimise it to the job title. For example, if the title of the job being advertised is ‘Structural Engineer’, the title of your profile statement should be ‘Experienced Structural Engineer – overview’. What skills do you have that their client wants? Now that the recruiter knows who you are and what you can bring to their client, they will want to know if you have the right experience and skills for the job. We recommend placing a short key skills list beneath your personal statement. The skills should relate to the job you are applying for and be specific to your experience. How did you achieve your passed duties? Next the recruiter looks for evidence of your skillset in your employment history. This section is important in showing the tasks you performed and what you have achieved. List your relevant employment history to date by starting with your most recent job. List the job title, organisation, location and the dates you were employed there. It is best to use a bullet point list that details your responsibilities and achievements. Try to inject keywords and language from the job description. Make sure you really paint a picture of your responsibilities and achievements too. Provide details, numbers and detailed examples of your work. Next, list your qualifications and certificates. Include the name of the college or university, course as well as the year and location. Why would you matter to their client? Will be a good fit for the organisation – make sure you are personable and be ready to explain exactly what’s in your resume with quantifiable examples. Are worthy of referring to their client – Do you have the skills, knowledge, experience and expertise to successfully do the work that their client needs done? If you meet the standard expected by recruiters or even surpass it, you will catch their attention with your resume. We know how tough the Australian job market can be, so we hope the above list helps you in finding a job in Australia. Would you like us to review your resume? Feel free to contact us for a free consultation. We wish you all the best in job search. 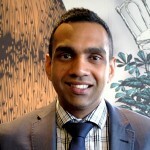 Hi, I'm Naren, Career Coach and Director at ACECIS. If you're struggling to get a job in Australia, chances are your resume, cover letter and LinkedIn profile need work. Your interview skills may also need refining too. My job is to help you overcome issues in these areas so you start getting interviews and offers. Feel free to get in touch. ​Tips on resumes, cover letters, interviews and more! © 2015 Australian Careers and Employment Centre for International Students (ACECIS).